I’m an enthusiastic cruiser who’s taken about 20 cruises on four major cruise lines (Princess, Royal Caribbean, Celebrity and Carnival) in my lifetime. 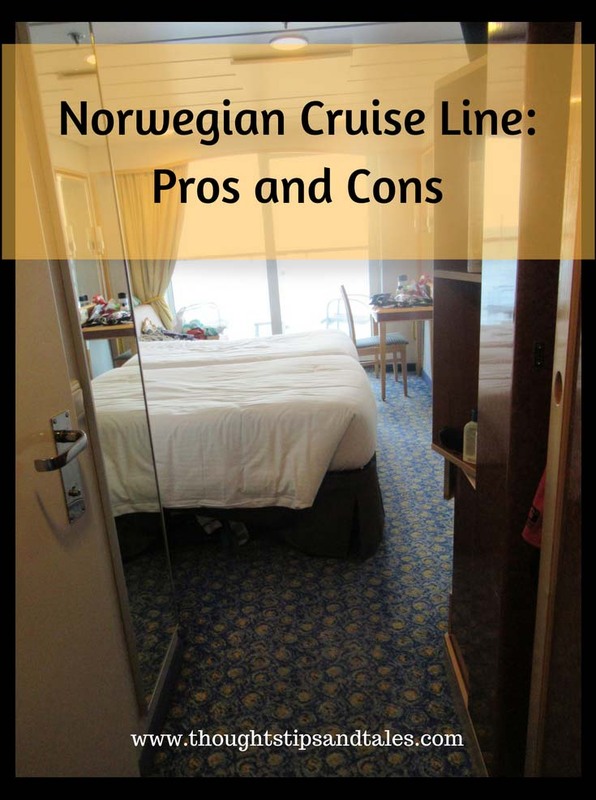 A friend and I recently completed my first Norwegian cruise on the Norwegian Spirit and compiled a list of Norwegian Cruise Line pros and cons (good and bad features). 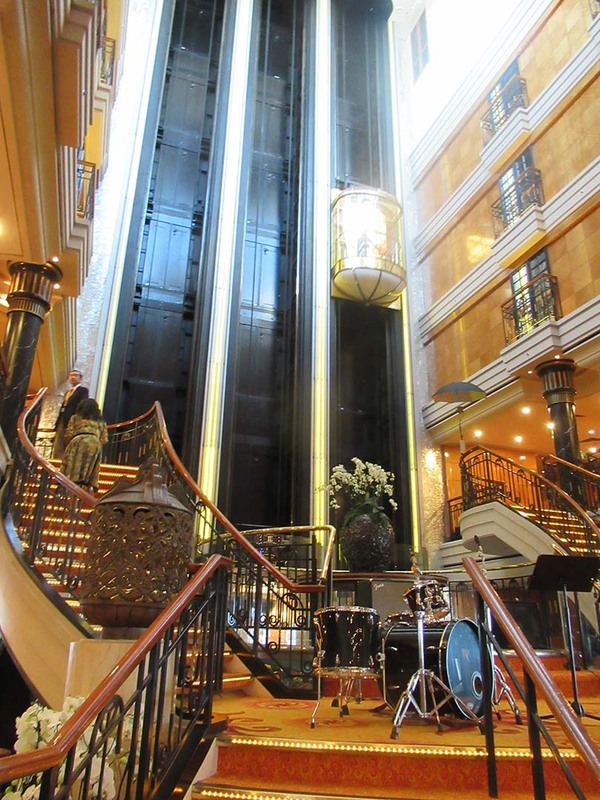 The decor and color scheme throughout the ship, in the lobbies and in the rooms, was elegant and beautiful. 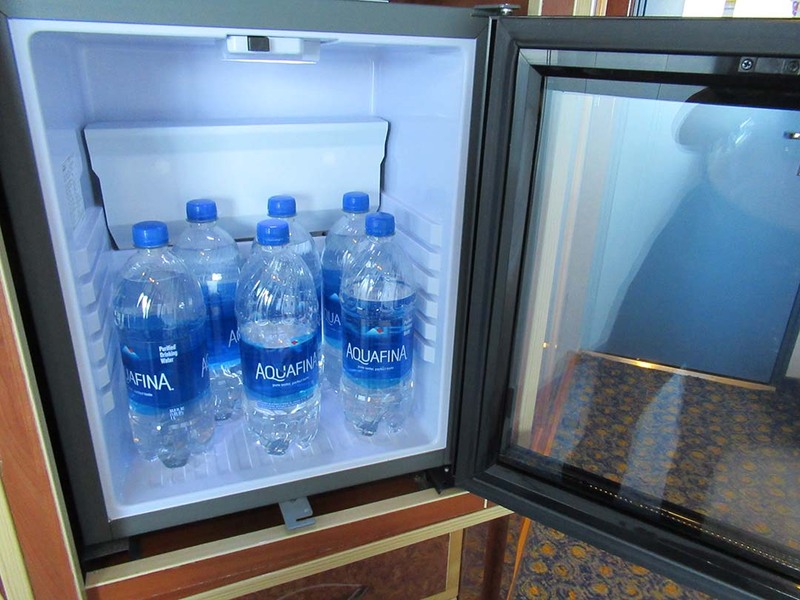 You can buy bottles of water in quantity at a discount and have them delivered to the room, then store them in the mini-frig (we saved about $2 a bottle doing that because we always buy a water bottle when we go on shore excursions). They had fountain sodas (not soda in cans) — yay! The Spirit is a small ship, which had some advantages, including making it easier to find your way around. The layout of the informal dining area was good. There was no waiting in lines for anything. 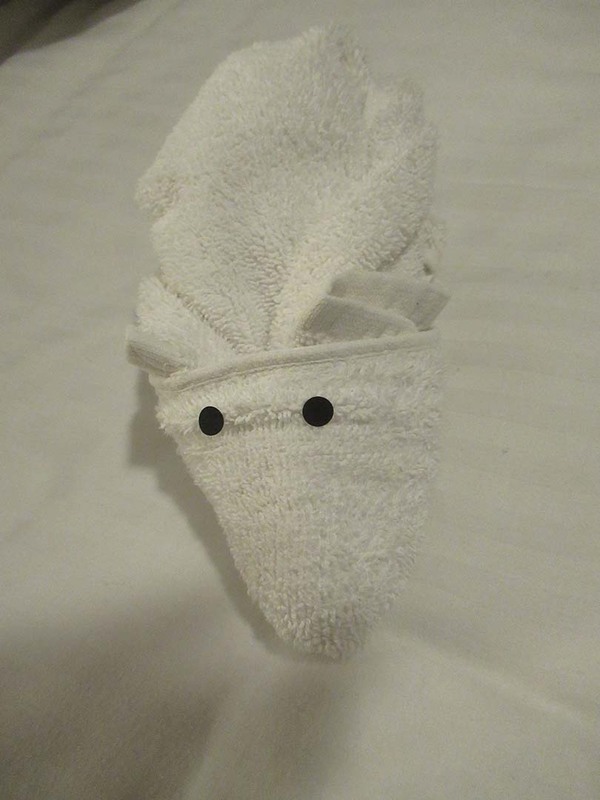 The room stewards created some unique towel animals we hadn’t seen on previous cruises — is this a rat? 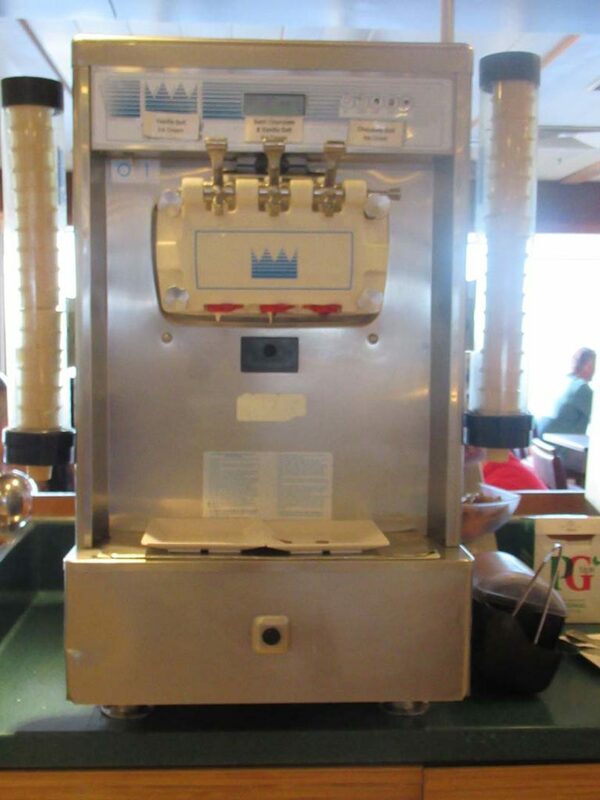 Self serve ice cream machines had pointy sugar cones (not in this photo, though — sometimes they switched out with flat-bottomed cones). The informal dining area had lots of cool carved veggies – flowers, etc., on display in the food counters. 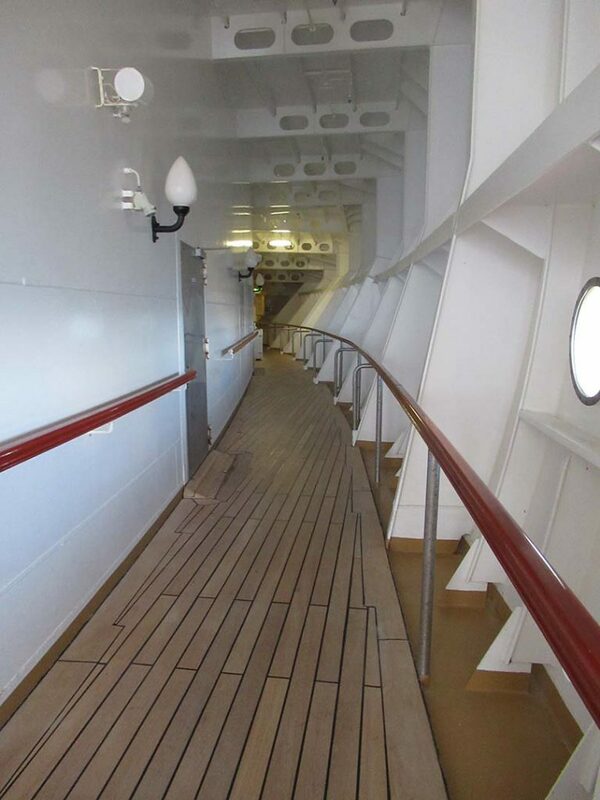 Deck 7 had a very nice enclosed walking path on both ends of the ship so there was no “walking-into-the-wind” problem that you find on other ships. They had true freestyle dining. We went to dinner fairly early but never encountered a long line. We were invited to bid for a room upgrade and got a balcony cabin for an incredibly low price! 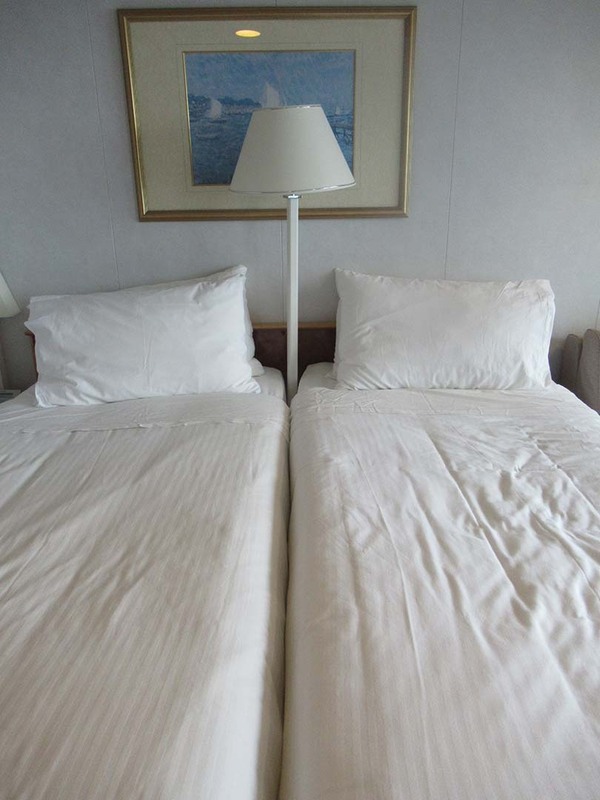 Warm towels were provided when we came back onboard after shore excursions in cool weather — and they felt great. The reservation process was horrible; you’re assigned a certain reservation clerk and can’t deal with any others. Ours was incompetent and made a bunch of mistakes. He moved the cabin we carefully selected without our permission to a different floor, moved someone who was going to travel with us and wanted a room next to us to a different area without permission, didn’t return our calls, etc. Ultimately we found he was “no longer with Norwegian” and we were left on our own. The cruise line’s airfare process was also bad. They wouldn’t let us provide any input into the times, layovers, etc., we wanted. And if we didn’t like what they picked – which we could only see a short time before departure – we had to pay $50 to change anything. We also discovered that Norwegian is the only cruise line among those I’ve used before that doesn’t pay to get you to the ship if you book airfare with them and miss the ship — and that’s the primary reason we always have booked transportation with the cruise line in the past. We ultimately chose to book transportation and hotel arrangements for a one-night stay after the cruise with AAA and, although that was somewhat painful too, the outcome was great. The phone system was antiquated and worked poorly. Many times we couldn’t place wake up calls, and with the many time changes while traveling around Europe and Africa, our Fitbit watches and smart phones didn’t update time automatically while at sea. As a result, we never knew exactly what time it was when planning for the next morning’s shore excursion. It was heartbreaking, frustrating (and embarrassing!) to wake up two days at what was actually 4:45 a.m. to be told we were an hour too early when we arrived at the excursion departure area! 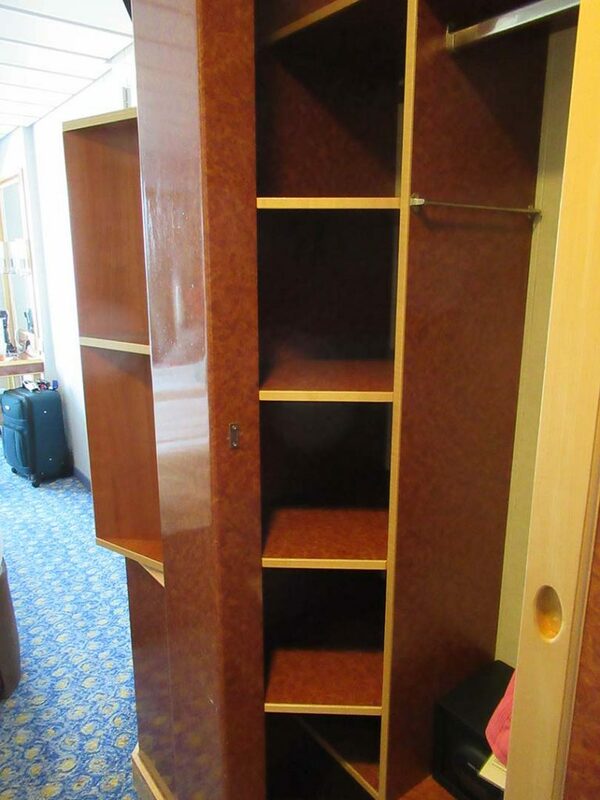 The Norwegian cabin was the smallest cruise cabin we’d ever seen! We had to walk sideways to pass each other and there were very few clothes/toiletries storage areas (we are not light packers, either!) — just the closet, these cubbies and three tiny drawers under the frig. The single beds we requested were within an inch of each other, separated only by a ridiculous pole lamp that didn’t work! We’re good friends, but we didn’t want to sleep this close! We got no advance notice about a number of cancelled shore excursions; they cancelled four shore excursions and only told us about one. The cabin contained only a single (one) electrical outlet in the cabin — for two people with Fitbits, smartphones, curling irons, cameras, etc. 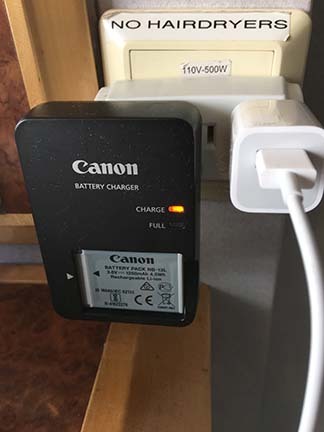 Luckily, my friend thought to bring an outlet adapter, but we could only fit two items at once and were afraid to use it while we weren’t in the room for fear of starting a fire. The room steward didn’t introduce himself until the second day. The dining room had few large tables (which we asked for and never got seated at), where we like to sit to meet and talk to lots of other cruisers; most were four-person tables and we were usually seated with a couple. On one occasion, a customer service rep had an attitude that she wanted to prove she was right more than she tried to solve our problems. 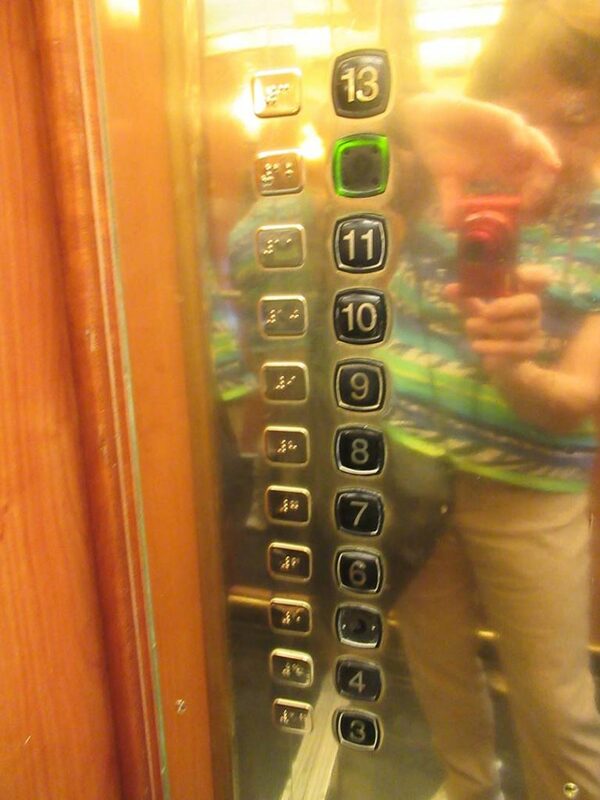 The glass elevators were beautiful but they all had missing floor number buttons, which ruined the elegant look and made it look like we were in a run-down hotel. The toilet flushing was often “delayed,” we were told when we called about it. Norwegian does not sell Diet Cokes (only Diet Pepsi), which was a major disappointment! We ate in the formal dining room nearly every night and no photographer ever took our photos. In the first two days, we only had an embarkation photo taken on arrival. The customer service reps gave us a lot of incorrect and/or inconsistent info at both the shore excursion and customer service desks. One of the expensive African shore excursions had two really bad stops — an argonne oil shop with a very heavy-handed sales pitch, and an ancient, dusty gift shop with horrible merchandise and no prices marked on anything (nobody bought anything there). There weren’t very many activities offered, compared with other cruise lines. While cruising on a small ship had some advantages, the disadvantages were fewer photos, WAY less activities, MUCH smaller cabins, smaller balconies and fewer large tables in the formal dining room. 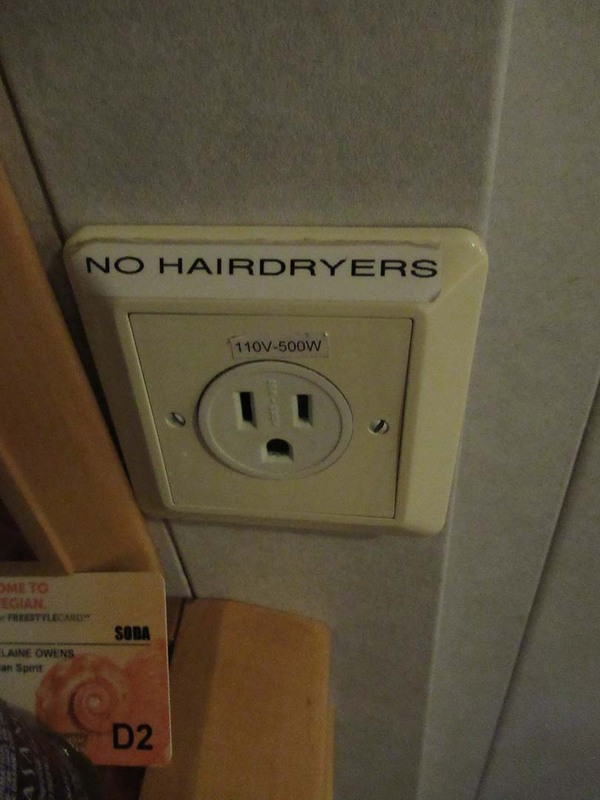 This entry was posted in cruising, life, travel and tagged cruises, cruising, Norwegian, Norwegian cruise line pros and cons, Norwegian cruises, Norwegian Spirit. Bookmark the permalink. I’ve never been on a cruise so I’ve never considered a lot of your points. 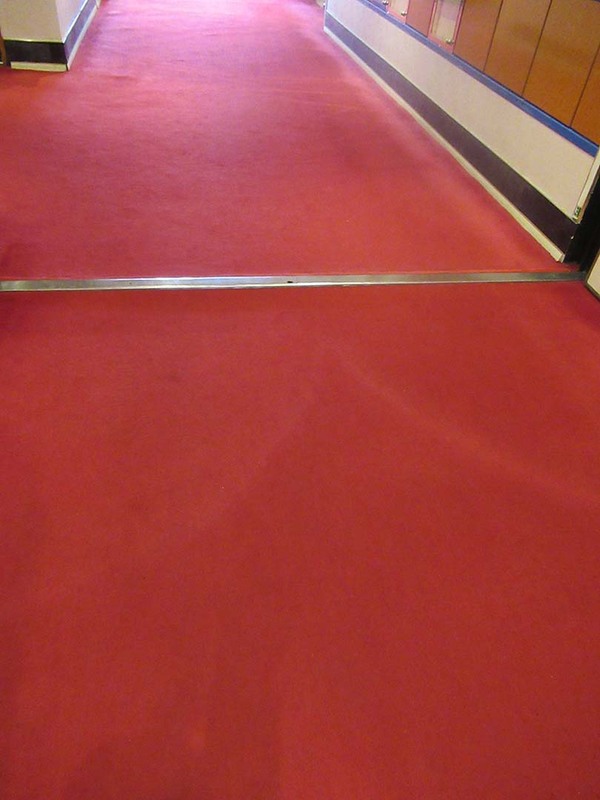 It seems that a cruise tries to make the experience seamless. Your list of cons doesn’t fit with that, though. That time thing would drive me crazy. The time thing made us feel really dumb! Of all the cruise ships you’ve been on, which would you recommend? Trying to go to the Mediterranean but flustered with the process of choosing a cruiseline! I’ve had good luck with Princess (my favorite), Celebrity, Royal Caribbean and Norwegian (my least favorite, but they have better prices sometime). I just wouldn’t go on Carnival, unless you like a party ship.